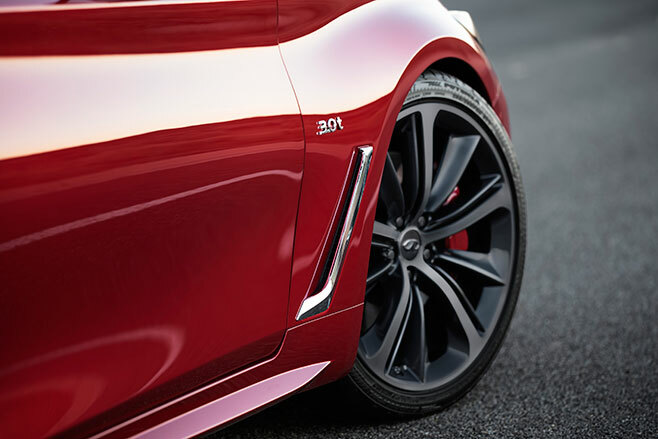 THE 2016 Infiniti Q60 is the luxury brand’s answer to the BMW 4 Series and Mercedes C-Class Coupe. The svelte coupe has been revealed in the metal at the 2016 Detroit motor show and has keep its seductive overall shape from the showcar that was wheeled out at last year’s event. 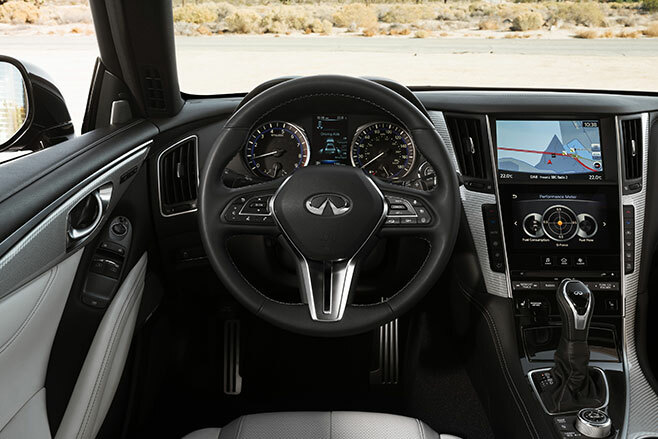 Riding on the same rear-wheel-drive platform as the Infiniti Q50 sedan, the Q60 replaces the current that’s based on the Nissan 370Z sports car. The 4690mm length makes it longer than the current model, while being 45mm wider (1865mm) and 17mm lower 1370mm). To fill the shoes of the current model, a convertible version should follow later this year. 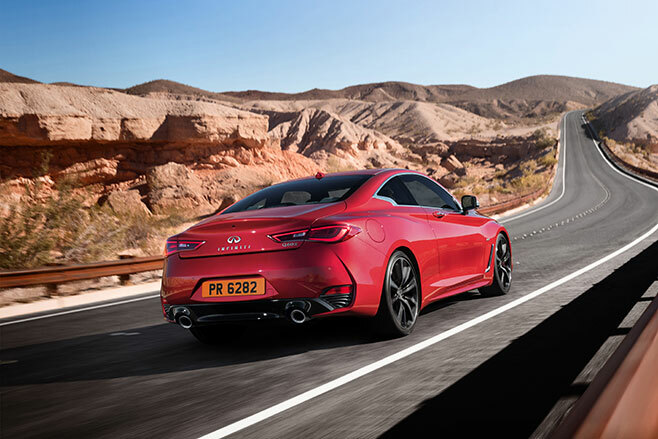 Powering the production version of the Q60 is a new-generation 3.0-litre twin-turbo V6, code-named ‘VR’, that replaces the VQ series V6 that has served in the Nissan 350Z and 370Z. Two power outputs will be produced, starting with a 224kW tune, and a 298kW version – the same output as the Buick Avista concept coupe that sits across from it on the 2016 Detroit motor show floor – which also delivers 475Nm. That compares to the 370Z’s 245kW and 363Nm, and the Q60’s 235/360Nm. The Australian market is more likely to offer only the higher output engine, given our penchant for high-performance models. The square engine (86mm stroke by 86mm bore) weighs 194.8kg, which Infiniti says is 14.1kg lighter than the 3.7-litre it replaces, boasts an integrated exhaust manifold that reduces manufacturing costs and improves packaging. It features an aluminium block, as well as direct-fuel injection, advance valve timing and a low-friction cylinder-bore coating that Infiniti says reduces losses by as much as 40 percent. It’s likely to be sold here only with a seven-speed automatic, although a six-speed manual will be offered in other markets. The new powerplant will be manufactured at Fukushima, Japan, where Nissan produces engines for the extended Renault-Nissan family, including the 1.6-litre turbo used in the Renaultsport Clio. Infiniti has sold more than 192,000 cars at the end of November 2015, surpassing its full-year 2014 result which was a then-record 186,200. The brand’s best market is the US, where 131,000 of its total sales were made, equating to more than two-thirds of its total global volume. Later this year, Infiniti will open a core dealership in Manhattan as its flagship retailer in North America. In Australia, Infiniti’s 2015 sales grew a substantial 30.2 percent over 2014, when it sold just 441 cars. Yet its 574 sales are a pittance compared with Lexus, which sold 8691 units in 2015 for 24.2 percent increase, while Mercedes-Benz led the luxury car market with 36,374 sales. The brand has undergone significant changes following the departure of chairman Andy Palmer, who left to head up a revitalised Aston Martin and had publically questioned the need for Infiniti, the luxury arm of Nissan in the same way that Lexus is positioned within Toyota. It’s now run by ex-BMW executive Roland Kruger, who has been head of Infiniti globally since January 1, 2015. 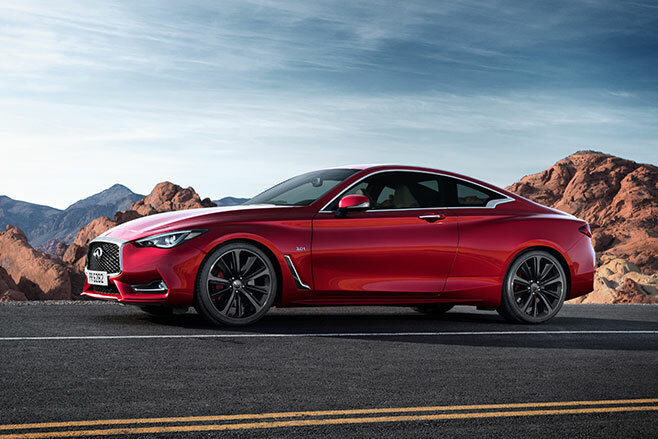 The 2016 Infiniti Q60 has been confirmed for the Australia market and is due here in the third quarter of this year. Pricing is yet to be confirmed, but is expected to start from around $70,000.